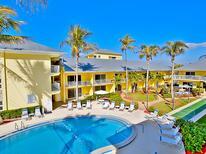 A holiday house in Fort Myers Beach costs on average USD 1,794 in the cheap travel period and USD 3,035 in the peak season per week. These details are of course in relation to the house and not per person as well as includes the obligatory additional charges. 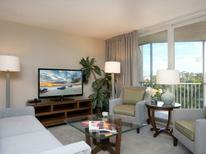 “The place between Estero / San Carlos and Bonita Beach is great located. The beaches at Lovers Key and Sanibel are within easy reach - even though hell is between the years there holding powerful going on and makes the whole area on the way to the sea. But since you just have to schedule time! Publix, Target and Co are expected to be found on every corner. Good American infrastructure up. Worth seeing in any case and the Naples Pier on Sunset - a dream. Shopping is also possible to their hearts content in the Miromar Mall. Thickness credit card pack! For dining there is everything to Olive Garden, Golden Corral, etc. within easy driving nearby.